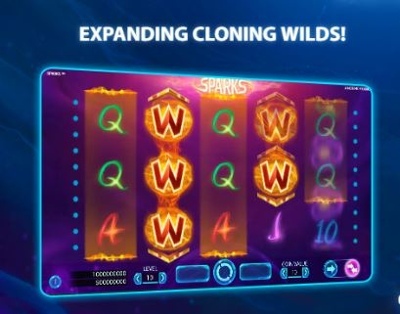 Sparks is one of the more creative titles we’ve seen come from Net Entertainment, and the design and playing-style of the game helps to make this a very unique Video Slot experience. Designed around a fairly typical Net Entertainment structure, you’ll find 20-paylines and 5-reels, with the minimum bet set at £0.20, and the maximum bet a staggering £400. Like all Net Entertainment games, you can easily adjust the stake options at the bottom of the screen, and you’ll also find a variety of game settings, including the ability to toggle quick spins, a volume slider, and the AutoPlay function. 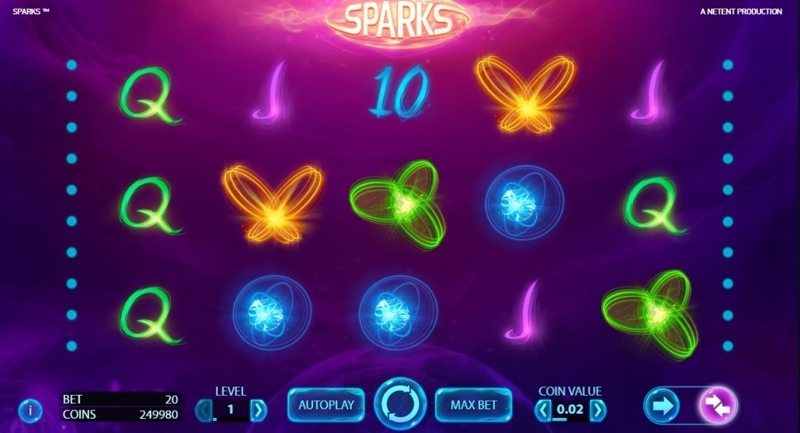 The graphics share similarities with Glow, another popular Net Entertainment game, although theme-wise, Sparks takes on an electrical-look, with symbols (and indeed the background) giving off a kind of electrical vibe. The graphics are very high-quality, and while this may worry mobile players, Sparks is fully-mobile-optimized for mobile, tablet, and desktop players, ensuring you can enjoy the game no matter what device you use! Just make sure your Internet Connection is sturdy, and you’re using a semi-new device, and you won’t have any problems while playing Sparks on the go. The first decision you have, when playing Sparks, is whether to use the conventional left-to-right payout structure, or whether to use the exciting “win-both-ways” feature. This doesn’t change the number of pay lines, but it does mean you get paid from both left-to-right, and right-to-left, giving double the chances of winning. Of course, your stake will be doubled if you choose to take this option. To toggle the “win-both-ways” option, you’ll need to change the settings; these can be found in the bottom-right-hand-corner of the screen, and here, you’ll see a singular arrow, and a dual arrow. The singular arrow is pointed right, while the dual arrows point each way, so it’s fairly self-explanatory what to do here – if you want regular right-to-left wins only, click the left single arrow button, and if you want the “win-both-ways” feature activated, make sure the dual arrow option is chosen. During the regular base-game, wild symbols can land anywhere, on reels 1-5, but you’ll also notice a special type of wild that only appears on reels 2 and 4. These are called Expanding Cloning wilds, and when you land one/and or both, they will clone the symbols from their left, and transform the symbol on their right to match. So, were you to land both expanding cloning wilds on the same spin, you’d be guaranteed a 5-of-a-kind win. It’s a pretty cool bonus-round, but the lack of free-spins, or a separate-screen bonus can put some players off. 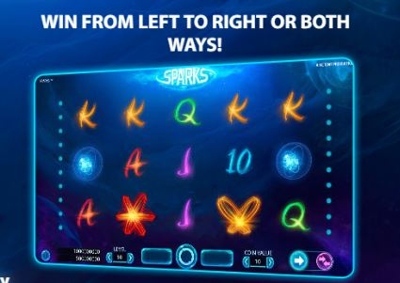 Sparks is perfect for those who like to enjoy a more traditional slot experience, without all the bells and whistles associated with many modern-day games online, but for players who like action-packed features, games like SteamTower, or Jack and the Beanstalk may be more suited.